Develop your skills, build a network and become an employable practitioner in the field of human rights by working on live projects during the course. This postgraduate degree provides the grounding you need to enter human rights law and advances your existing degree. You'll cover the breadth of human rights theory and practice and graduate as a skilled, knowledgeable and employable practitioner. Acquire specialist expertise in the field of international or domestic human rights. Apply your skills by working alongside human rights practitioners throughout the course. Gain a deep understanding of human rights law, principles and policy while building on your existing qualifications. Enhance your career and make the transition into a rewarding role. 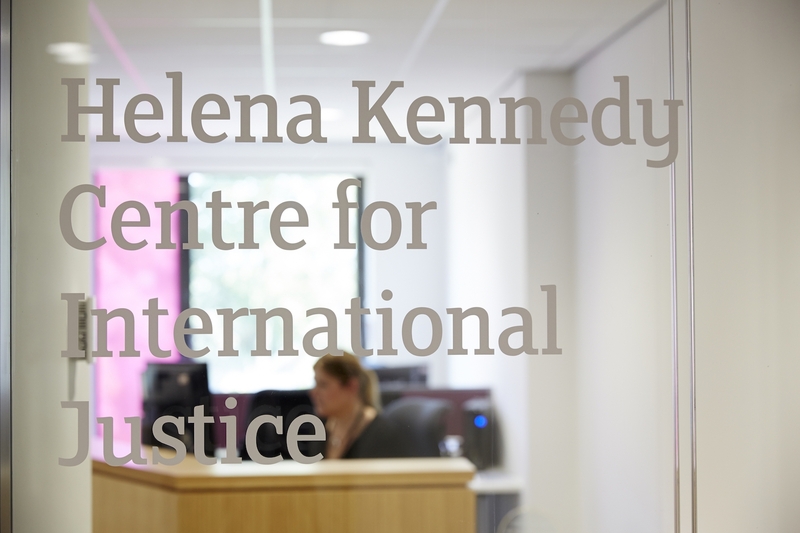 The LLM Applied Human Rights takes place at the Helena Kennedy Centre for International Justice. 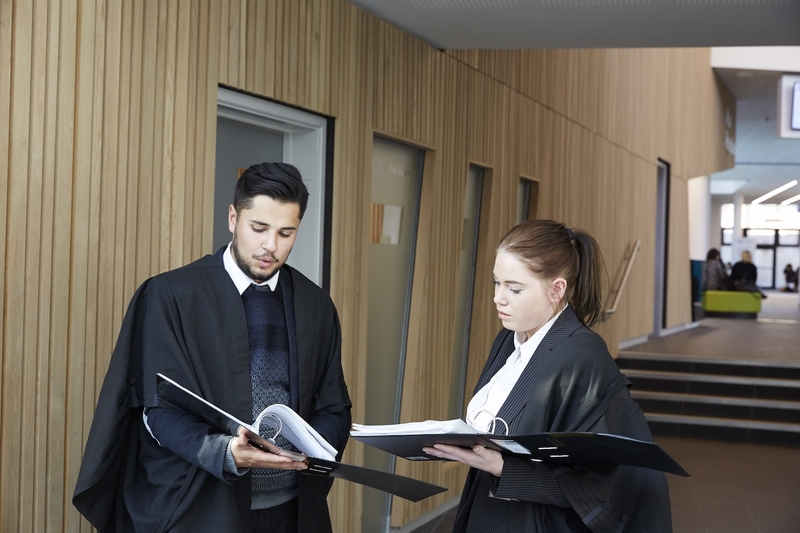 Your legal skills will be applied through working with academics, volunteers and practitioners, allowing you real-world experiences alongside theoretical grounding. You choose your own area of human rights to research and are allocated a supervisor who is a specialist in your area and they will support your research. The research can be undertaken in the field or based upon previously published studies and there are plenty of opportunities to collaborate with existing research projects. Explore the methods and techniques of advocacy that develop human rights in multiple contexts, through a range of applied learning environments including real-life and role play examples, as well as more comprehensive simulated learning exercises. The module is run in partnership with non-governmental organisations who support the teaching team with professional practice examples. The content will be focussed towards advocacy in practice where you can apply advocacy skills in various contexts at the local, national and international level. An introduction to the methods and techniques of doing human rights and legal research featuring workshops that cover the fundamentals of legal scholarship and the craft of academic lawyering in the field of human rights. The workshops focus upon practical research, debate and writing activities designed only days before each class to stimulate greater intensity in the manner in which you will apply your skills. The prosecution of war crimes (both internationally and nationally), the legality of the use of force against States (e.g. Iraq), environmental protection, the scope of human rights protection (e.g. the ‘war on terror'), and the economic effects of globalisation promoted through the work of institutions such as the World Trade Organization are but a few of the areas that will be discussed within this exciting module. Students are provided with the understanding and ability to allow them to gain positions in governments, inter-governmental organizations (such as the United Nations), non-governmental organizations, and law firms all of which are actively looking for lawyers who are capable of undertaking sophisticated legal and other social sciences analysis of new and complex issues of global law and justice. Interrogate current and emerging themes, debates, controversies and issues around human rights and social justice and challenge some of the myths surrounding some of the key principles upon which these concepts are based. The module highlights the competing interests, priorities, and opinions that are shaping the course of human rights and social justice in Britain and globally. Questions about equality, justice, fairness, social inclusion, and global ethics will be discussed alongside issues of accountability, the 'rule of law', transparency and marginalisation resulting from age, gender, ethnicity, disabilities, and other 'protected characteristics'. Throughout the course, you will be given the opportunity to engage with live projects that enable you to understand contemporary human rights cases and issues. This can include working with NGOs, visits to international human rights bodies in Europe, the preparation of written submissions to national and international agencies or research placements. As well as engaging regularly with human rights practitioners, specialists, and organisations - past speakers include Shami Chakrobarti and Trevor Phillips - there will be ample opportunity for workplace networking, internships, and involvement in planning events. You will also interact regularly with the research work of staff in the Human Rights and Social Justice and Social-Legal Research Clusters, and the Department of Law and Criminology. Typically a 2.2 honours degree or above in law or equivalent. You can find out more about the country-specific qualifications we accept on our international qualifications page. If English is not your first language you will need an IELTS 6.5 score with a minimum of 6.0 in writing and 5.5 in all other skill areas or equivalent. If you do not have such academic qualifications we may consider your application individually, based on your personal, professional and work experience, and other formal qualifications.